Castle Park parkrun- Queen of Herts! 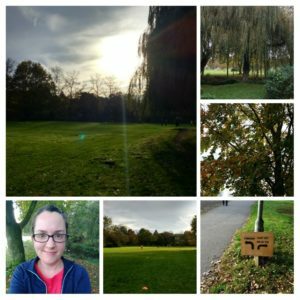 This Saturday I decided to visit Castle Park parkrun, to finally achieve my aim of running all of the parkruns in Hertfordshire. Castle Park is in Bishop’s Stortford, a town close to Stansted airport, and close to the Essex border. It only began a month or so ago, when the team moved over from the original Hatfield Forest venue (in Essex). The info on the website was handy and in the morning I put in one of the car-park post codes into my sat-nav and set off. I then remembered that I didn’t have much petrol left, but due to leaving the blowers on cold (so the wind screen didn’t clear until I noticed and turned on the heat) I didn’t really have time to get some beforehand. Anyway, the drive was fine; it’s around 30 minutes from home and fairly quiet roads. However, when I parked I then realised I had no idea where the start actually was…. such poor planning! I looked at the course page on my phone, but that didn’t help as I had only been to the town centre once before (after we went to Hatfield Forest we went for breakfast in Bishop’s Stortford after as it’s only a few miles away). I started walking towards the town centre, hoping to see some runners to follow, and thankfully spotted some people in high-viz across a road- hooray! And phew! There were lots of people collecting in the park, near to a big mound (the castle that the park is named after- an old motte and bailey castle) and next to the band stand. The new runner’s briefing explained that it was pretty much two laps, with an out and back section at the start and end (like a lollipop really- you run up the stick, around the loop twice and then back down the stick)- and warned us to look out for bollards on some of the paths, and also that the finish was a bit of a loop around and not a straight line once you got back into the main park. It was so cold- I’d worn my new leggings (hooray- with one zipped pocket for my car keys, one stretchy pocket for lip balm and hand sanitiser, and one stretchy pocket for my phone), a t-shirt and jacket, and I kept my jacket on for the first mile or so. My feet were also freezing as the long grass was damp, so after walking a few steps my socks were soaked through. Brrrr. Lots of people were dressed in fancy dress- I was envious of people with gloves or hats as it was very chilly. Anyway, it was a lovely sunny morning and I really enjoyed the route- it is very flat and not too busy after the first bit across the field. 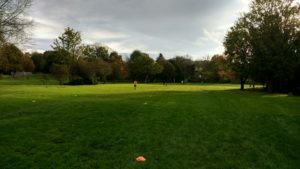 There were lots of things to notice in the park- particularly a few of those fitness centre things with benches for press ups and that sort of thing, as well as the football pitches to look at. I had decided to not push too hard and just enjoy the scenery, aiming for under 30 minutes, so I was pretty pleased to finish at 28-something, with nice negative splits of 9.53, 9.12, 8.45 and then 7.34 for the little end bit. When I had finished one of the volunteers saw me stopping my watch and asked me for my time, name and finish position- he had a list of around 10 so I wonder if they are doing that to check up on the timers? Although I didn’t stop mine until the end of the funnel when I was given my token so I did explain it was likely to be a few seconds out. The sign at the end of the first lap amused me so after I finished I popped back to take a photo- it says Finish (left arrow), Lap of Deja Vu (right arrow)- it made me chuckle when I saw it the first time. The route went around a lot of football pitches and so on the second lap you had to watch out for stray balls- there were plenty of marshals out with their backs facing the pitches (rather them than me!). I didn’t notice getting lapped either- I think it’s less likely with a two lap course. It was super cold so after taking a few photos of the park I headed to the nearby shopping centre and got myself some breakfast- I’d usually wait until I got home but I knew that the drive would take longer (and I needed to get petrol), plus I had a free drink that would run out soon so it would be rude not to, right? 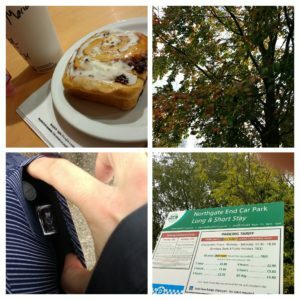 Cinnamon swirl for breakfast, autumn leaves, the car park I used (just to remind me) and one of my stretchy pockets. I was going to get some petrol there, as I only had something like 50 miles left, and it was 20 miles away (and it’s only an estimate- it seems to go down a bit faster usually), but I couldn’t find a petrol station and didn’t want to waste time driving around, so in the end I drove home, but without the heating on (to save fuel- not sure if that really makes a difference? )- at 30 miles left the display then changes to just lines, and the arrow was below the zero on the fuel gauge- this was all very stressful! Thankfully I made it to the petrol station near home without breaking down. So, my final Herts parkrun completed! (There is one starting early next year, but it will be easier to just visit the new ones as they come along). I really enjoyed this challenge- I do like going to my local parkruns and seeing people I know, but I also love visiting new places, and seeing the friendly welcome that you get at every parkrun. I’ll do a separate post about them all I think, but for now I will enjoy my Queen of Herts status (credit to Gavin Nicholls on the UK parkrun tourists facebook page, as I had announced that I had “attacked Herts”- he came up with Queen of Herts which I very much prefer). Of course I’ll be re-visiting some of them- on my parkrun profile I’ve only been to 4 events more than once. Dad agrees with me that Tring is high on our list as when we went it was very foggy so we could not see the stunning views, and I quite fancy Aldenham again to chase a higher placing. Have you been doing any parkrun challenges? 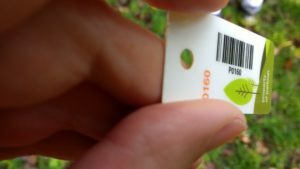 Anna posted the other day about the parkrun alphabet– and if you are on the tourists facebook page there’s a file you can get to keep track of the ones you have done. I’ve got a parkrun tourist page to keep track of the ones I have visited, and also future ones planned, but at the moment I am not adding to any of the letters (e.g. hopefully next weekend I’ll visit Brighton and Hove for the first time, but I already have a B- Barclay). There are some clever satellite challenges – if you look at your closest event they list the nearest events, so you can do all of those, and then all of those parkrun’s closest ones) but this takes me into London very quickly which to me is a hassle and not really enjoyable. I think probably the next thing for me to realistically aim for would be 50 different parkrun events, but that will take me a few years I would think. I’d also like to do some in other countries- so far the only countries I have run in have been England, Scotland and the US (Crissy Field), but I really fancy a Scandinavian one, and a German one once they get going, and of course Canada/ New Zealand but they are more wishful thinking at the moment! I must have missed the post! And Queen of Herts is such a great title. Well done! Also, love the name Deja Vu Lap! Yes the sign made me chuckle so much! Queen of Herts – awesome! One of our parkrun RDs likes to take a random list of times/positions from runners using a watch. It’s a great double check of the timings and can really help if something goes wrong.